In 1908, C.F. Iszard and J. Henry Warren organized the Iszard-Warren Company to design, manufacture and sell precision surveying, engineering and scientific instruments. In 1913, our quickly expanding company became known as the Warren-Knight Instrument Company. For many years, W-K manufactured and operated at its Center City location. In 1963, Warren-Knight moved to its current location in Northeast Philadelphia. At W-K, we help you to achieve the most reliable and dependable accuracy in the market today. 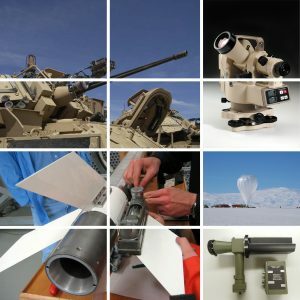 W-K provides optical and electronic alignment systems, angle measuring, distance measuring, and leveling capabilities that are reliable and accurate throughout the world. We continue to manufacture quality precision instruments for aerospace, engineering, meteorological, metrological, nautical and surveying applications that meet our customer’s needs. With over 100 years of precision instrument manufacturing, Warren-Knight has continued to lead the world as a precision instruments and alignment systems manufacturer. By continually expanding our capabilities and upgrading our facility, we continue to maintain the level of excellence and technological sophistication you have come to expect from an industry leader. Not every custom instrument or system we manufacture is listed on this website. If you did not find what you are looking for, or have questions, please do not hesitate to contact one of our technology specialists to design a product that will meet your needs! Warren-Knight | Powered by Mantra & WordPress.